The Valley Stream Union Free School District Thirteen’s Howell Road Elementary School recently celebrated Earth Day with interactive nature lessons and discussions on the importance of protecting the environment. 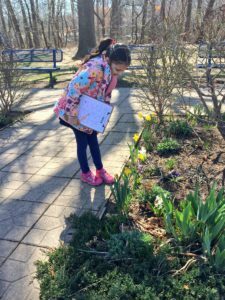 Mrs. Kelly’s second grade class was treated to an educational walk through Howell Road’s plentiful gardened areas—providing the students with an opportunity to identify which springtime flowers were in bloom. Following the outdoor lesson, students participated in a wide ranging discussion to determine the many ways they could make a positive impact on the local and global environment. 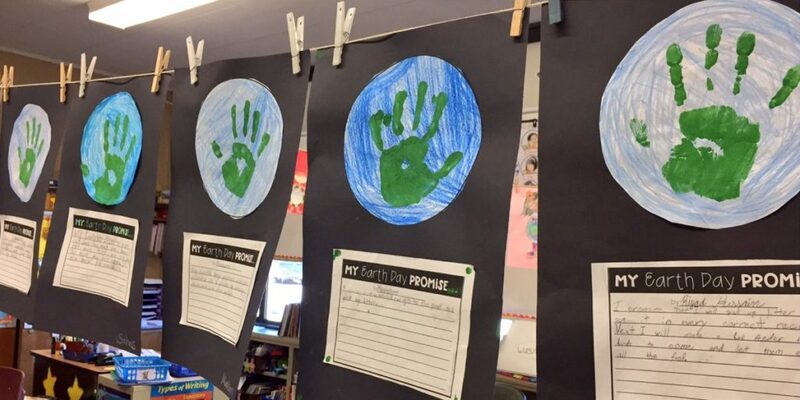 Students created artwork reflecting their individual “Earth Day Promise”— ranging from watering plants, making bird feeders, recycling, and creating gardens in their own backyards. The District continues to offer students opportunities to develop environmentally friendly projects aimed at protecting the earth for future generations.